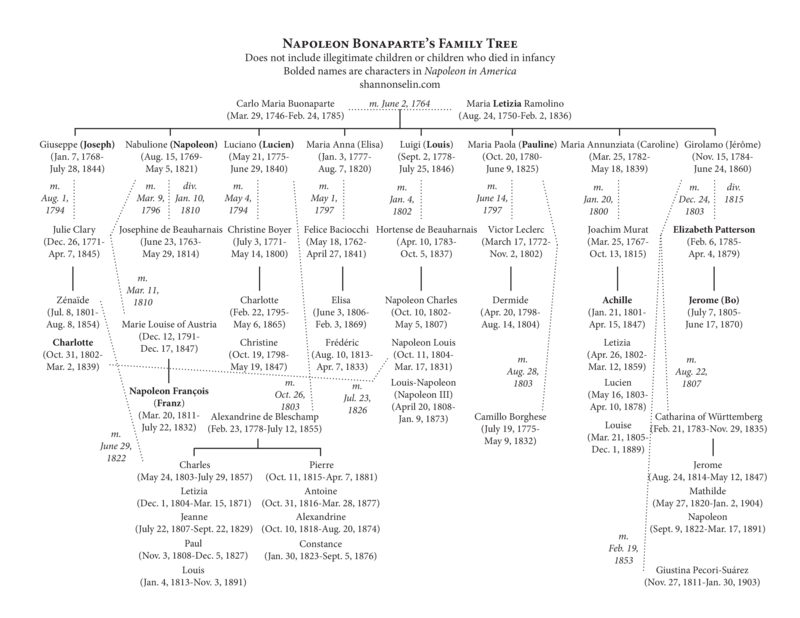 Click on the image to zoom in on, print, or save the Napoleon Bonaparte family tree. The names of characters in Napoleon in America are shown in bold. To read more about Napoleon’s family, click on the links below.